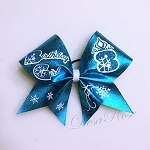 If you would like a custom bow sample for your team please fill out the form under the "Request Sample Tab". Our Current turn around time for individual orders is 5-7 business days. 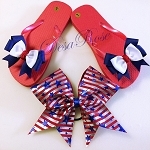 Squad orders and orders of 10 or more bows are on a 2-3 week turn around. *These times do not include shipping. If you need something in a shorter time frame please message us. 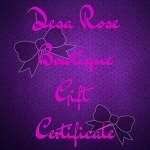 Thank you for your interest in our bows! !